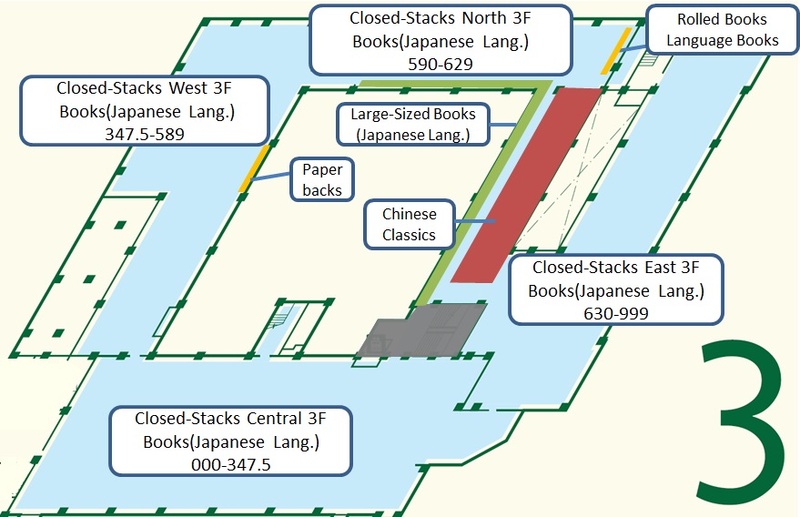 These materials are shelved in the Closed-Stacks 3F of the Central Library. These materials are shelved on the 3rd floor and are located in Call No. order.